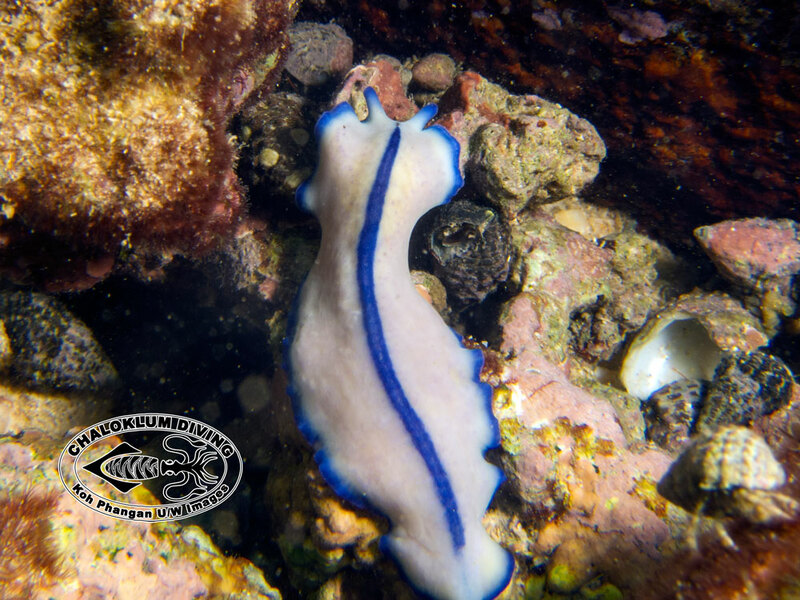 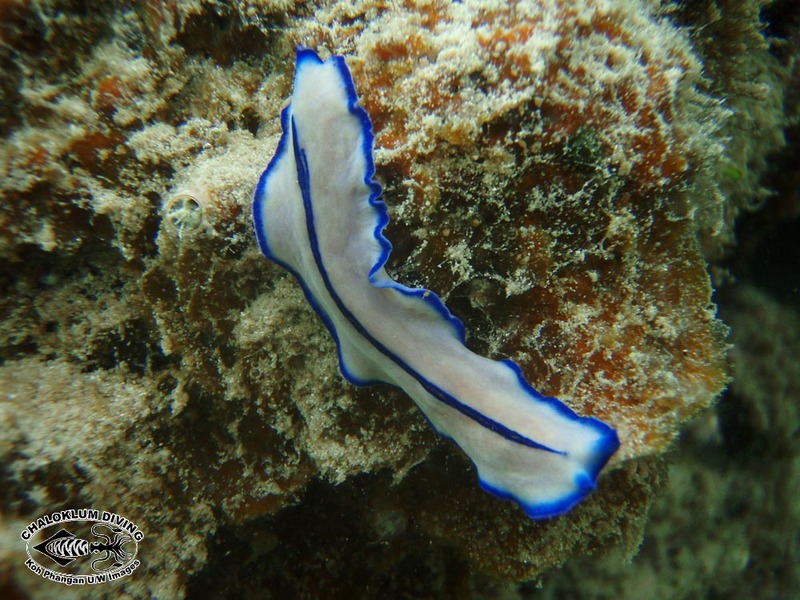 The excellent Singaporean marine life ID site put us right regarding Pseudoceros concinnus. 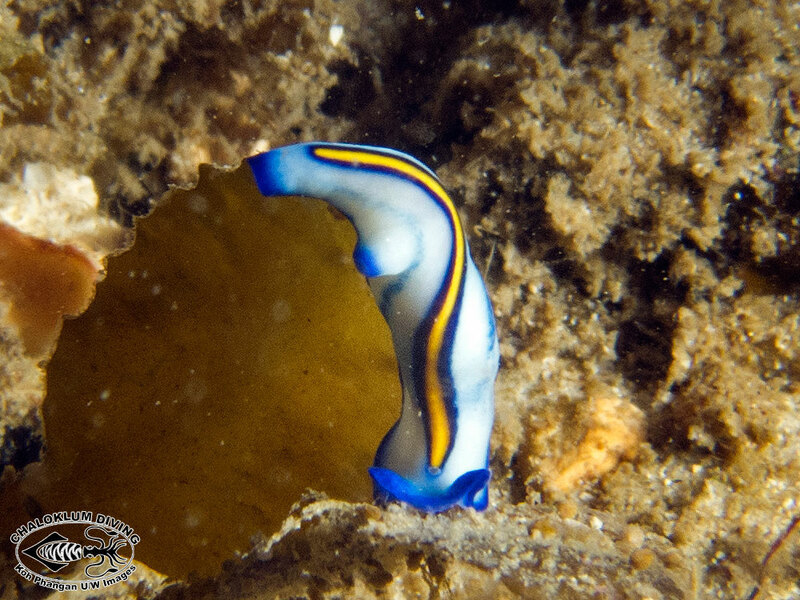 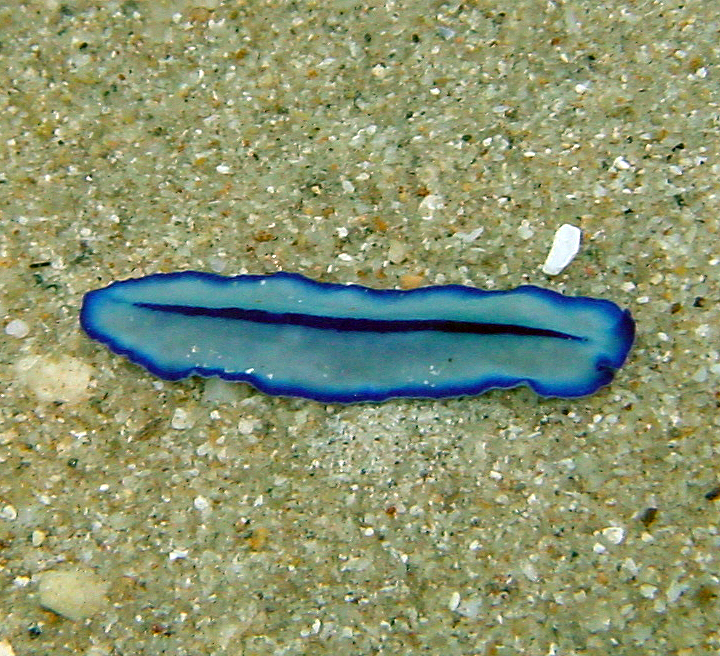 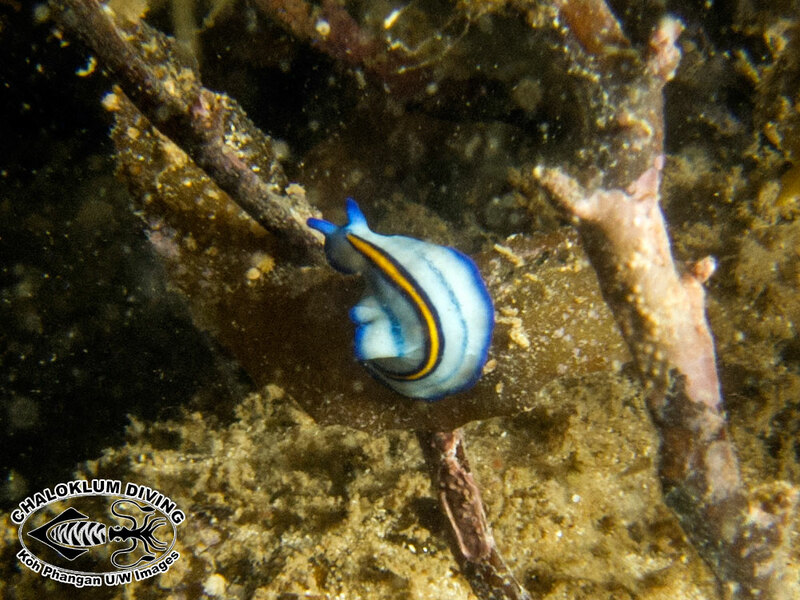 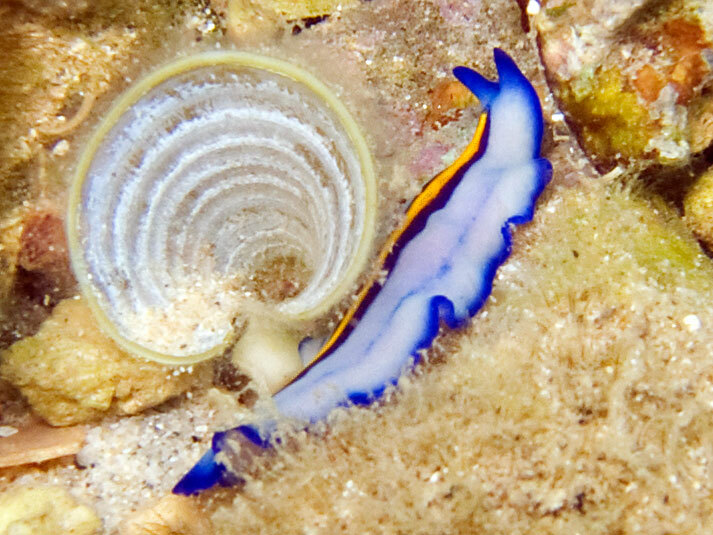 Pseudoceros monostichos is a different marine flatworm, that is not endemic to the Koh Phangan area. 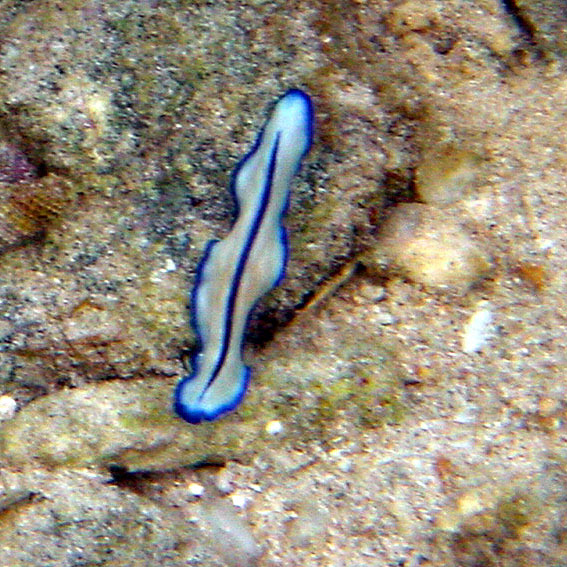 It looks like the yellow striped beastie is actually P. tristriatus (with 2 very feint extra stripes just visible) but we’re not quite sure yet.